The ToroHUD project is forked from ToroHealth, but aims to provide more features at the cost of requiring the mod to be installed on both client and server. 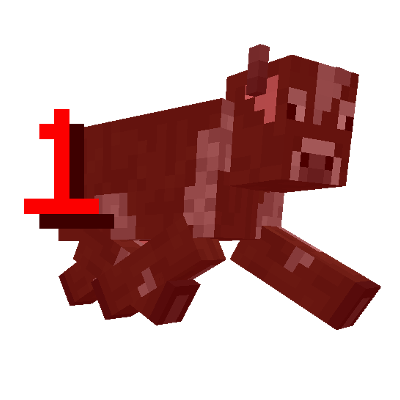 With ToroHUD, damage given, received, or mitigated will be displayed as a number that pops off of the entity. Also, health bars will appear in the top left corner for the entity in the player's crosshairs. ToroHUD will also show any potion effects of a targeted entity. 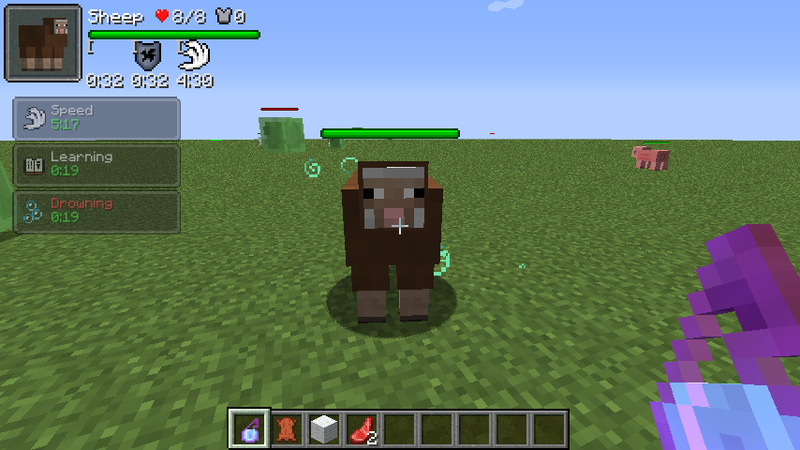 Please feel free to include ToroHUD in any modpack. No need to ask for permission. Hmmm, that might be difficult to fix. Would you mind submitting an issue here https://github.com/ToroCraft/ToroHUD/issues with a screenshot and the mod that added the potion effects? I can't promise I will get to it anytime soon though unfortunately. I posted a screenshot here. The status icon shown on my own is normal. But it is not displayed properly on the HUD, or it is not displayed. Are torohud and torohealth file the same? (because I only found torohealthmod.cfg). (English isn't my main language). There should be other config files for torohud, which can be accessed in game under the mod options menu. I am working on the configs now to organize them under a single directory. Make sure you have the latest version, it shouldn't be creating torohealthmod.cfg. I would like to change the portrait skin (like we used to do last year), but i can't find any config option/file. I am planning to work on some basic themeing support. Are you looking for the skins to be built in, or would you want to be able to put your own custom skins in a directory have toroHUD load them? I'm looking for the skins to be built in. I thought it was "ToroHealth" that provided a way to change the frame skin around the picture. May be it came from another mod, i can't remember. ToroHealth has three skins. ToroHUD has 2, I had to remove one because it didn't work with the potions. It's a really old mod. It would be nice if we could have this kind of skin+all the amazing features you are adding now. I'm not much of an artist, but I might try to come up with a few. If anyone wants submit their own original work (or permission from the author) please create an issue or PR here: https://github.com/ToroCraft/ToroHUD/issues.&nbsp; If the team likes it I will include it in the next release. A scale config should be pretty easy to add in. I will try to get that in the next release. I am not sure what you mean by a movable UI, not just the corners. Currently the UI can be be repositioned from 5 different anchor points, are you looking for something other than that? It's cool you consider the suggestions and awesome that a scale config is added. What i meant by moveable ui is simply you can position the ui anywhere you like on an x/y coordinate. With mods that add ui elements that coincidentally get anchored on corners like a minimap, it gets somewhat restricted for options. 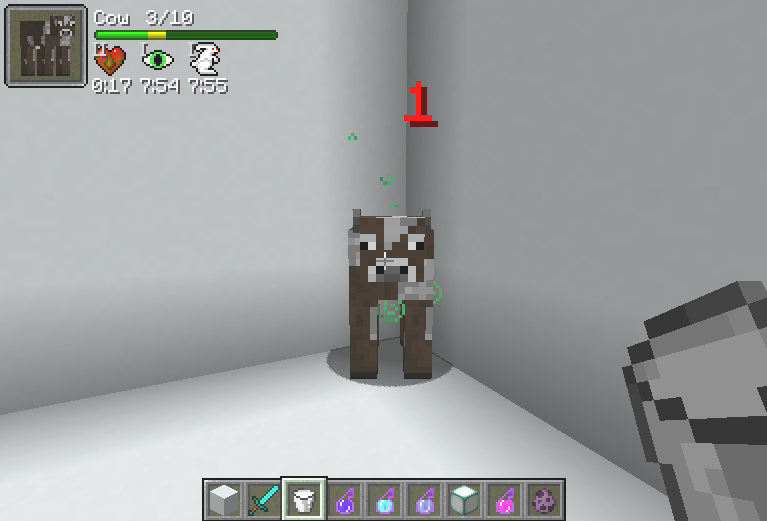 I believe that is already an option, under "Health Bar GUI" at the bottom, you should see Y and Y offset. That config option will offset from selected "GUI Position" anchor point to anywhere you would like on the screen. With the 1 being red due to it being damage. While there are damage pop-offs from the mob, sure... but was just wondering. While I know there's damage pop-offs but you can see them through blocks and such briefly. One more thing... you can't really see any damage pop-offs on yourself unless you use third-person view via F5. Could there be a number of some sorts to display whenever the player in first-person mode takes damage? Can perhaps be configurable to move it around much like how you can move the HUD indicator via configs. Both seem like good ideas to me. I will play around with getting the cumulative damage number to show on the bar. I will also see what it would take to render damage/heal particles of a player on that player's GUI.